If you’re looking for men’s work underwear to prevent chafing and adjusting, that also offer support -- try Underwear For Men. Every style and generation of Underwear For Men comes with an innovative adjustable pouch built into the front that isolates and supports your manhood. Underwear For Men is the only brand of men’s underwear that offers both isolation and support. Originally launched as a sport product in 2013, in just a few years, Underwear For Men has amassed 2,000+ 5 star product reviews. Men across the US and in Canada have been positively impacted by our innovative design. Soldiers, policeman, fireman, construction workers, engineers, computer programmers all love our adjustable pouch underwear. No matter what you do for a living, our underwear, boxer briefs and briefs are intricately engineered for comfort and made to last. Men have longed for an underwear that offers comfort and support. Pouch underwear is the latest innovation in men’s underwear. Our US patented and Intl patents pending adjustable pouch doesn’t come presized. It is sized to fit your size. You simply loosen and tighten the drawstrings to create a comfy hammock that wicks sweat and keeps your manhood cool. The pouch isolates and supports your manhood, keeping it away from your thighs and out from under your keister. Whether you wear jeans, work pants or a bulky polyester uniform, the sleek design is tailored to move when you do to avoid bunching, riding and sagging. 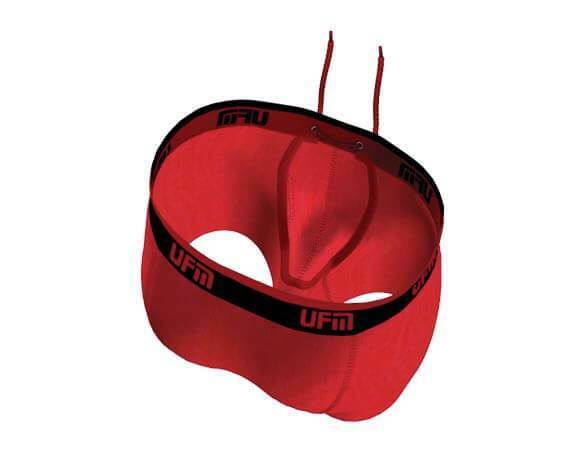 UFM Underwear is available in briefs, boxer briefs with a 6” inseam and boxer briefs with a 9” inseam. The 1st Generation offers a drawstring pouch that ties on the inside, and 2nd and 3rd ties on the outside. We have over 2,000, 5 star reviews from men who can’t get enough of Underwear For Men.